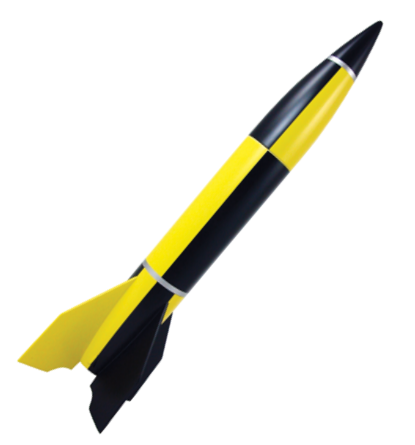 MPC Space:1999 Eagle 22 Plastic Model [MPC 825] - $101.24 : Sirius Rocketry Online Store, For the Serious Rocketeer! 22 Inches Long in gorgouesly big 1:48 scale! 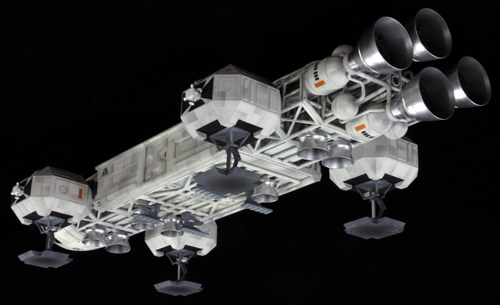 The iconic Eagle Transporter from the TV series Space:1999 has always been a popular Sci-Fi subject and one of my personal favorites. To get a really accurate Eagle, modelers in the past have purchased very expensive custom-made models, or pricey cottage resin kits for hundreds of dollars. And the old (and recently reissued) 1:72 MPC kit sold a lot of copies but had some shortcomings and takes a little bit of hard work to make truly accurate. 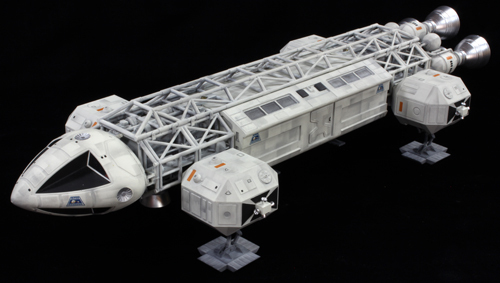 The great folks at Polar Lights/Round 2/MPC have extensively researched the first season filming miniature of the Eagle, and has produced an extremely accurate 22" Eagle (1/2 studio scale and 2x the size of the old 1:72 MPC kit). This is the kit Space:1999 fans have been waiting for for 30+ years! The kit features spring loaded landing foot pads, clear windows, pilot figures and all the decals needed to fully decorate the Eagle.